Toro Rosso has revealed images of its 2019 Formula 1 car online, providing the first clear look at the impact of this season’s new aerodynamic regulations. 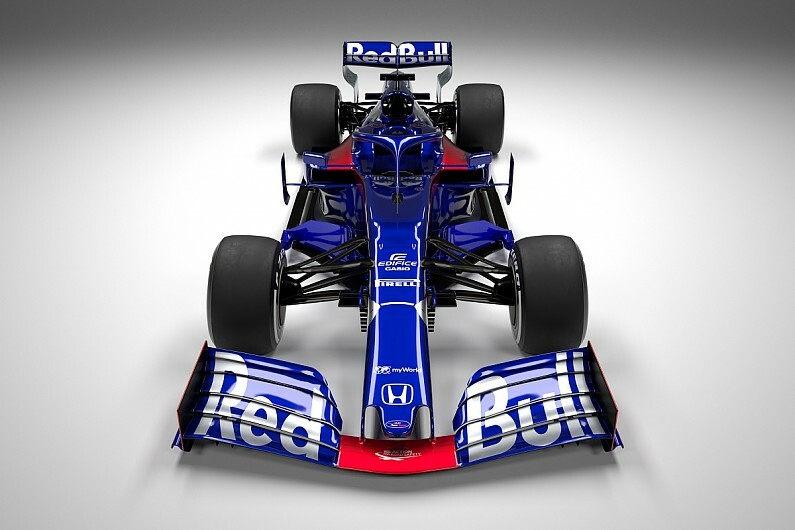 Toro Rosso unveiled its Honda-powered STR14 online on Monday afternoon, showing a dramatically different bargeboard arrangement in line with this year’s greater aerodynamic restrictions. The team’s blue, silver and red livery, first introduced in 2017, remains. Toro Rosso finished ninth in the constructors’ championship last season and will have a closer relationship with Red Bull this year by using parts from its senior team’s 2018 car. Franz Tost, Toro Rosso team principal, said: “The aim is to always improve in order to compete at the highest possible level and this winter we have worked intensively to bring a few organisational changes, which we hope will help smooth a few issues we experienced in the past. “We have analysed all the internal procedures in order to optimise our strengths and minimise our weaknesses. “Compared to other teams, Toro Rosso count on a smaller number of people, but the synergies with Red Bull Technology for the non-listed parts, now that Red Bull will also be equipped with the Honda engine, will leave more time for our technical working groups to focus more on the details. Tost explained that components that relate to the Honda engine will be the same specification as Red Bull’s. He said that “most of the remaining parts” will be last year’s specification because Toro Rosso would not be able to match Red Bull’s rapid development of 2019 parts. “We have very good technical people to follow the in-house design, and the reliability of last year’s synergy project parts will put us in a more favourable situation to develop quicker during the season,” Tost added.